What do Munchkin Land and the DSM-5 have in common? A lot, as you will see. The fifth edition of the Diagnostic and Statistical Manual is the American Psychiatric Association’s latest attempt to legitimize itself. At first glance it is most imposing. Each of its 567 mental disorders carries its own code, symptoms and diagnoses galore. Further, its 947 pages list some 2,000 medicos and 17 prestigious institutions. A scholarly Introduction concludes that their “science of mental disorders continues to evolve”. Surely, the APA is the eminent authority on all things mental. Knowledge comes from the Latin scire, “to know”. As you see, this concrete foundation is composed of words like facts, laws, truth and tested. Suprise! The word cure is AWOL from every page. The dictionary says it is “a complete or permanent solution or remedy.” Why, then, is it never used in their bible? Apparently they don’t know how it all comes about—and can’t cure it anyway. Given 62 years of DSM history, that sounds more fairy tale than scientific. Dorothy knows something about surreal. She’s been accosted by Miss Gulch, cursed by a cackling witch and plunked down in a Salvador Dali world. Still, she’s determined to find her way back to Auntie Em and Uncle Henry. Cut to a huge hall and a towering curtain. She’s with a scarecrow, a tin woodman—well you know. The pig-tailed girl, confused and frightened, musters up her courage and inches forward. Toto’s got his own ideas. He pulls back the screen to reveal a roundish man that looks a lot like Frank Morgan. (We’ll skip the embarrassment and anger that follows). Sheepishly, the old man hands Dorothy the DSM-5. Cracking open the book reveals a sea of troubles: Separation Anxiety Disorder (Page 190), Brief Psychotic Disorder (Page 94), Major Depressive Disorder (Page 160). Or how about Brief Psychotic Disorder (Page 94)? All in all, 21 possibilities and another 42 “unspecified” disorders as a catchall. That’s 63 different ways to say sadness. –And the mousey lion could have Borderline Personality Disorder or Avoidant Personality Disorder or even Generalized Anxiety Disorder. Dorothy slams down the book! No help here! Ah, that’s it! 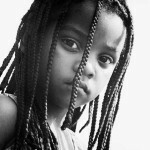 This chick has Oppositional Defiant Disorder! And Dorothy is not the only one up in arms. Since DSM-5 debuted in 2013, it’s been bombarded by those who should be praising it. It’s important that the diagnostic system be taken away from the American Psychiatric Association. It needs to be in safer hands. -Allen Frances MD, Chair of DSM-IV Task Force. His book, “Saving Normal: An Insider’s Revolt Against Out-of-Control Psychiatric Diagnosis, DSM-5, Big Pharma, and the Medicalization of Ordinary Life”, says it all. 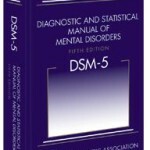 More salvos came from The Society of Humanistic Psychology, who formed the “Coalition for DSM-5 Reform”, collecting over 14,000 signatures protesting the book. If its peers howl at their industry scriptures, it calls into question the validity of psychiatry itself. As well it should. A practice riddled with uncertainties, no cures and no standards is pure fairy tale. Listen to your Mother Jones: Don’t buy it. Don’t use it. Don’t Teach it.